Won the 2018 Maritime Excellence Award and honourable mention at the National Trust Ecclesiastical Awards. 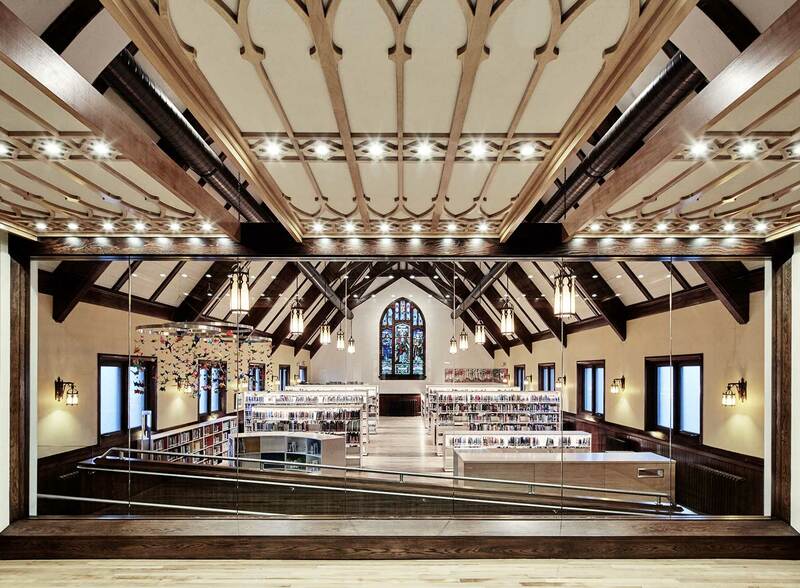 This church conversion to library is in Kentville, Nova Scotia. Houdini Architects.